Our educational program offers a broad range of classes and workshops on a regular basis at an affordable price. We invite a select group of teachers, artists and creators to share their skills with our community. 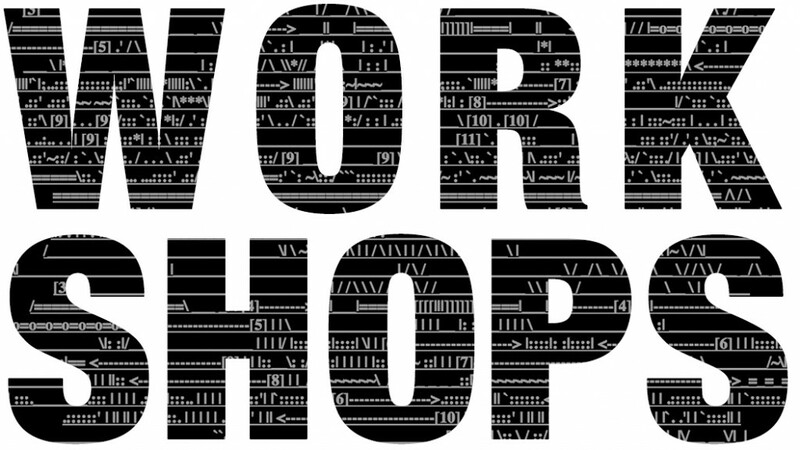 Centering on new creative technologies, our workshops give artists new tools and knowledge to expand their practice. The goal of our educational program is to provide a framework for the development of new ideas, to promote peer to peer knowledge exchange and to foster artistic collaboration. 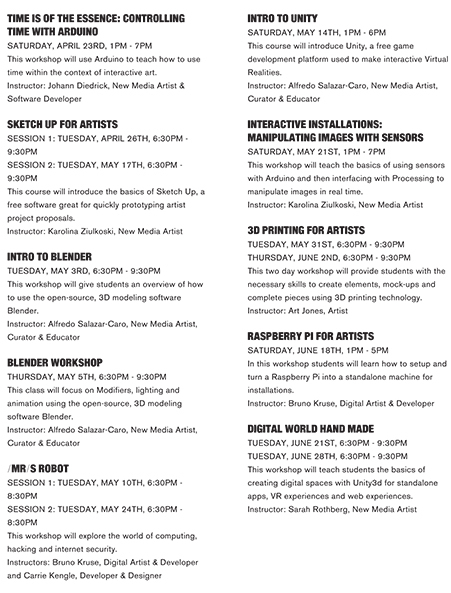 Our past workshops have taught subjects including projection mapping, video games and virtual reality, soft circuits and wearable controllers, arduino, 3D printing, and working with Raspberry Pi for art installations.